Finally it is the season for Christmas market and I am interested to see what Mainz is all about! First stop to the lovely St Augustine church and then a quick pass of St Stephan. Unfortunately we didn’t get a chance to look inside because the church was in service at the time of our visit. See the church in my Mainz Walking Tour post! Oh to my delight there was those chimney snacks I found in Mannheim that I like! 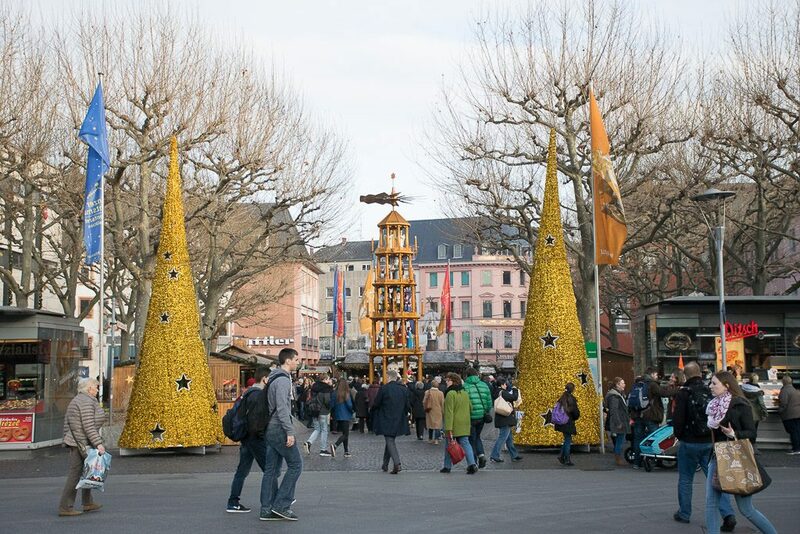 Time will tell but I think Mainz has everything I’m really looking for an ideal Christmas Market. Not too sparse. Not too crowded. The best eats. A good place to relax to enjoy the spirit of the season without feeling rushed… everything else would be novelty.